June 12, 2015--This is the first trip Xena has made without Charlie. She was a good girl. 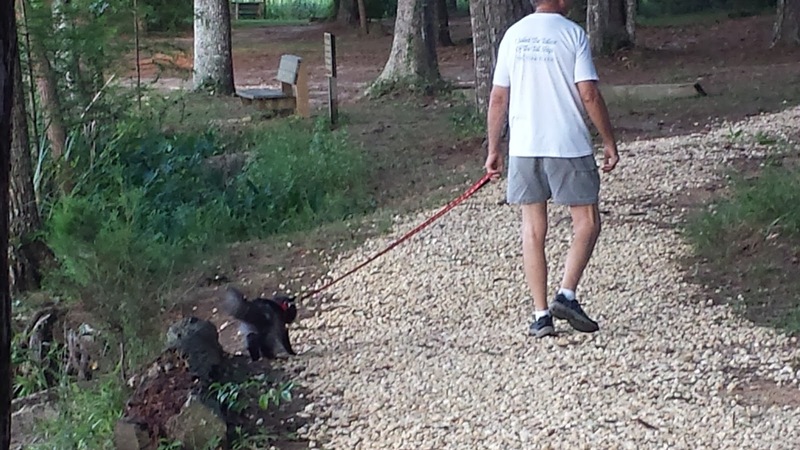 Jim is determined to get her used to walking on a leash. It was comical to watch him pull her along. She hunkered down and refused to move! 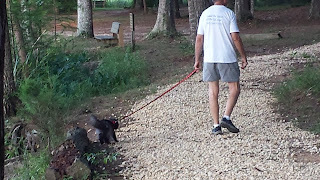 Eventually, though, we did walk--especially when Jim headed toward the RV. Home never looked so good to her.